“(Wiki bio)He was born in New York City, and graduated from Yale in 1808. After his graduation, he took up the management of his father’s large estate in Westchester County, New York, and also studied law at Albany. Poor eyesight soon compelled him to give up the legal profession. He early became interested in various philanthropic enterprises and reforms and identified himself especially with the temperance, antislavery, and antiwar movements. He was one of the founders (in 1816) of the American Bible Society, which he defended against the vigorous attacks of the High Church party, led by Bishop Hobart. He was judge of common pleas in New York from 1818 to 1820, and was first judge of Westchester County from 1820 to 1842, when he was removed on account of his antislavery views. An enthusiastic member of the American Antislavery Society, whose constitution he drafted, Jay stood with Birney at the head of the conservative abolitionists, and by his calm, logical, and judicial writings exerted for many years a powerful influence. 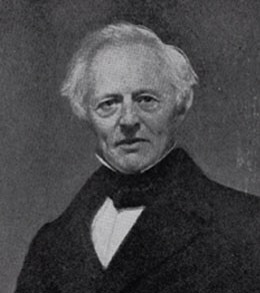 From 1835 to 1837 he was the society’s corresponding foreign secretary. In 1840, however, when the society began to advocate measures which he deemed too radical, he withdrew his membership, but with his pen he continued his labor on behalf of the slave, urging emancipation in the District of Columbia and the exclusion of slavery from the territories, though deprecating any attempt to interfere with slavery in the states. He was also a proponent of antiwar theories and was for many years president of the Peace Society. His pamphlet War and Peace: the Evils of the First with a Plan for Securing the Last, advocating international arbitration, was published by the English Peace Society in 1842, and is said to have contributed to the promulgation, by the powers signing the Treaty of Paris in 1856, of a protocol expressing the wish that nations, before resorting to arms, should have recourse to the good offices of a friendly power. Sarah Louisa Jay was the fourth child and third female descendant of William and Hannah Jay. She was brought up in Bedford. In 1840 at age 21 she married Alexander Bruen and after time in New York moved to Scarsdale. They had three children. They were both buried in the Jay Cemetery in Rye. Fifth Generation: Alexandra Louisa Bruen, born 1848. Died 1938. Married George Elmore IDE. They had one child. Both were buried in the Jay Cemetery. Bio: IDE, George Elmore: Rear-Admiral, U. S. Navy; born in Zanesville, Ohio, Dec. 6, 1845; son of Dr. William E. and Angelina (Sullivan) Ide. He was appointed to the U. S. Naval Academy in 1861, and graduated in 1865. In the summer of 1862 and 1864, while midshipman, cruised after Confederate steamers Tallahassee and Florida; in 1870, went to Greenland on Juniata in search of Polaris survivors, and same year took Virginius filibusters from Santiago, Cuba, to New York. Served on various ships, including the Kenosha, which, in 1871, escorted English battleship Monrach to Portland, Me., carrying remains of George Peabody, philanthropist; commanded steamer Justin off Santiago, during Spanish War; took United States steamer Yosemite to Guam, 1899, carrying governor of island and surveying the harbor, in view of making it a cable and coaling station in 1900; commanded United States steamship New Orleans, on Manila Station; thence to Navy Yard, Mare Island, California, as captain of yard until retired as rear-admiral, Sept. 26, 1901, after forty years’ service. RearAdmiral Ide is a member of the Metropolitan, City, New York Athletic and New York Yacht Clubs of New York City. He married at Fortress Monroe, Va., July 28, 1889, Alexandra Louise Bruen. Address: 1128 Madison Avenue, New York City. Sixth Generation. John Jay IDE Birth 26 Jun 1890 in Narragansett Pier, Rhode Island Death 01 Dec 1962 marriage at age 53 to Dora Browning DONNER Birth 18 Oct 1916 in Pennsylvania Death 18 Dec 1998 in San Francisco. They had no children. Obit: Most people have never heard of John Jay Ide (Jun. 20, 1892-Jan. 12, 1962), who was an international aviation pioneer and European representative for the National Advisory Committee for Aeronautics (NACA). Born at Narragansett Pier, Rhode Island, he was the son of Rear Admiral George E. Ide of the U.S. Navy, and Alexandra Bruen Ide. Ide was the great-grandson of John Jay, early national diplomat and first Chief Justice of the U.S. Supreme Court. John Ide attended the Browning School in New York City, and upon graduation from Columbia University in 1913 he received a certificate in architecture. He then studied architecture at the Ecole des Beaux Arts in Paris for the next year before returning to New York to work as an architect. When the United States entered World War in 1917, Ide enlisted in the Naval Reserve Flying Corp and rose to the rank of lieutenant. He also took the opportunity to court and marry Dora Browning Donner of Philadelphia, the daughter of philanthropist and steel financier William Henry Donner when he was 53. With war clouds gathering around the world, in 1940 the U.S. Navy recalled Ide to active duty, commissioning him as a lieutenant commander and placing him in command of the Foreign Intelligence Branch of the Bureau of Aeronautics in Washington. He served in that post until 1943, when the Federal government appointed him a Tactical Air Intelligence Officer in Europe. In this capacity Ide helped to survey at the conclusion of the war in Europe the aeronautical capabilities of the defeated Nazi Germany. Although mustered out of active military duty with the rank of Navy Captain in late 1945, Ide remained in Europe as representative for the NACA for the next five years. There he continued the work he had undertaken in 1921 as a representative for the organization as a conduit for technical information about the development of aviation technology on the continent. He retired from that position in 1950. John Ide returned to the United States soon after retirement from the NACA, residing in New York City. He was socially prominent in that city, as well as in Washington, D.C., and Palm Beach, Florida. He served in a variety of honorary positions during this period, vice president of the International Aeronautic Federation, president of the International Sporting Commission, board member of the National Aeronautic Association, trustee of the Museum of the City of New York, manager of the American Bible Society, and a vestryman of the St. Bartholomew’s Protestant Episcopal Church in New York. Ide returned to France in 1958 to present a plaque to commemorate the site in Paris where John Jay participated in the signing of the peace treaty between Britain and the United States in 1783 that ended the American Revolution. He died at his Park Avenue home in New York City on Jan. 12, 1962, at age 69. He wrote and published a book on the portraits of John Jay. Fifth Generation. Alexander Jay BRUEN+ Birth abt 1855 in Newport, Rhode Island. Death 25 FEB 1937 in New York, New York, married Constance FIEDLER+ Birth abt 1880 in New Jersey Death 1935 They had three children. They were both buried in the Jay Cemetery. (Yale obit) Alexander Jay Bruen, B.A. 1878. Born August 10,1855, in Newport, R.I. Died February 25, 1937, in New York City. Father, Alexander McWhorter Bruen (B.A. Rutgers 1836; M.D. Columbia 1836); son of Mathias and Hannah (Coe) Bruen. Mother, Louisa (Jay) Bruen; daughter of William Jay (B.A. 1807) and Hannah Augusta (McVickar) Jay. Yale relatives include: Peter A. Jay, honorary M.A. 1798, W. Livingston Bruen, ’79 (brother); He Attended school in, Paris and Nice, France, and Dresden, Germany. Appointment his Senior year; member Dunham Boat Club, Gamma Nu, and Linonia. Attended Columbia Law School («r-i88o); practiced law independ- ently New York City until retirement in 1927; author: Our Charities and How ‘They are Managed; member St. James Presbyterian Church, New York City. Married June 19, 1907, in Little Silver, N.J., Constance Louise Fiedler, daughter of Edward Charles and Eliza Winthrop (Carville) Fiedler. Children: Alexander Jay, Jr., ’32; Edward Livingston; Constance Louisa Jay ; and Evelyn Louisa. Mrs. Bruen died November 25> l93S- Death due to pneumonia. Buried in Jay Cemetery, Rye, N.Y. Survived by children. Alexander Jay Bruen practiced Law at Sullivan and Cromwell. He was a Trustee and acted as treasurer of the Jay Cemetery in the 1960-1990’s. They had no children. Sixth Generation. Evelyn Louisa BRUEN+* Birth 27 Dec 1914 in New City Death May 14, 2001 in Palm Beach, Florida, married John Bond TREVOR+ Jr Birth 4 JUL 1909 in New York, New York Death August 27, 2006 in Paul Smiths, Lake Saranac, Franklin, New York. They were both buried in the Jay Cemetery. They had three children. Evelyn Trevor was secretary of the Jay Cemetery for many years and meetings were held in their townhouse at 11 East 91st Street. “When Andrew Carnegie purchased the expansive lot for his mansion across from Central Park in 1899, the neighborhood was still-sparsely developed. Broken rows of brownstone dwellings dotted the streets around East 90th and 91st Streets; but the great mansions of New York’s wealthiest citizens had, for the most part, not advanced beyond 70th Street. A block away from No. 15 East 90th was the mansion of John B. Trevor at No. 11 East 91st Street. Emily Trevor had grown up in that house and in 1926 she acquired the old brownstone at No. 15. Obit: PALM BEACH Fla. Evelyn L. Bruen Trevor, 86, a resident of Palm Beach, Fla., died quietly at her home on May 14, 2001. She was born on Dec. 27, 1914, the fourth and youngest child of Alexander Jay Bruen and Constance Fiedler Bruen. She was a great-great-granddaughter of John Jay, the first chief justice of the United States. She attended the Nightingale School in New York City. She married John B. Trevor Jr. on Nov 18, 1938 in New York City. Mrs. Trevor and her family were summer visitors to the St. Regis lakes for many years. Obit BARROW-Constance L.J.B., on 4 October 1997. Beloved wife of the late Donald F. Barrow. Mother of Elizabeth Doering and Constance Hurley. Grandmother of Elizabeth, Dennis and Lily. Sister of the late Alexander J. Bruen, Edward F.L. Bruen and Evelyn B. Trevor. Services on October 10 at 11 AM at St. John’s Church, Cold Spring Harbor. In lieu of flowers, donations to Animal Rescue and Rehabilitation, POB 61, Syosset, New York 11791. This entry was posted in Jay Cemetery, Jay Family History and tagged Bruen family on November 11, 2015 by jsdubois28.